Bare Metal image backups are one way to protect your entire server environment, including the operating system. Protect your business servers and ensure you can recover quickly, even with dissimilar hardware. Tapnet can include Bare Metal image backup that enables you to thoroughly backup your Exchange, SQL, SharePoint and Windows servers with Bare Metal. Manage it all in your Centralized Management Dashboard. Bare metal backup is available for all our partners. Bare metal backups protect all pieces of a server, including its operating system. Bare metal backup delivers a low RTO (Recovery Time Objective), which gets your customers back up and running quickly in the event of a disaster. 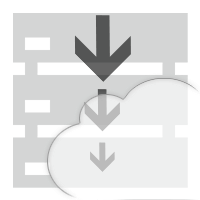 Bare Metal backup technology provided by the Tapnet Platform is transactionally consistent. Transactionally consistent Bare Metal backup software “talks” to the server to ensure that it is done transferring data. Only then will it take a Bare Metal image. Exchange Granular Recovery allows you to perform granular mailbox recovery on exchange backups and recover lost or deleted ﬁles quickly. Integrated E-discovery technology lets you search and preview – not commonly seen in typical EGR solutions – but available with Tapnet. Recover at the database, mailbox, or message level with Exchange Granular Recovery. After you start your Tapnet partnership, you’ll be able to add Bare Metal image licenses and EGR licenses as needed.